Offering a fun and fresh way to decorate, Peel and Stick Wallpaper is printed on high quality vinyl that is repositionable and removable, making it a go-to, budget-friendly choice for both temporary and permanent projects. Perfect for accent walls, furniture, backsplashes, DIY decor, and more, simply peel and stick to install. Completely easy, create endless style-worthy possibilities with RoomMates Peel and Stick Wallpaper. Update your space with All Mixed Up Pink/Gold Peel & Stick Wallpaper. Offering a fun and fresh way to decorate, Peel and Stick Wallpaper is printed on high quality vinyl that is repositionable and removable, making it a go-to, budget-friendly choice for both temporary and permanent projects. Perfect for accent walls, furniture, backsplashes, DIY decor, and more, simply peel and stick to install. Completely easy, create endless style-worthy possibilities with RoomMates Peel and Stick Wallpaper. Update your space with Awning Stripe Neutral Peel & Stick Wallpaper. Offering a fun and fresh way to decorate, Peel and Stick Wallpaper is printed on high quality vinyl that is repositionable and removable, making it a go-to, budget-friendly choice for both temporary and permanent projects. Perfect for accent walls, furniture, backsplashes, DIY decor, and more, simply peel and stick to install. Completely easy, create endless style-worthy possibilities with RoomMates Peel and Stick Wallpaper. Update your space with Cement Peel & Stick Wallpaper. Offering a fun and fresh way to decorate, Peel and Stick Wallpaper is printed on high quality vinyl that is repositionable and removable, making it a go-to, budget-friendly choice for both temporary and permanent projects. Perfect for accent walls, furniture, backsplashes, DIY decor, and more, simply peel and stick to install. Completely easy, create endless style-worthy possibilities with RoomMates Peel and Stick Wallpaper. Removable and repositionable, these wall decals can be applied to any smooth, flat surface. To apply, peel each decal from the backing and place on your desired surface. Our decals will never damage your walls or leave behind any sticky residue, no matter how many times they're repositioned. 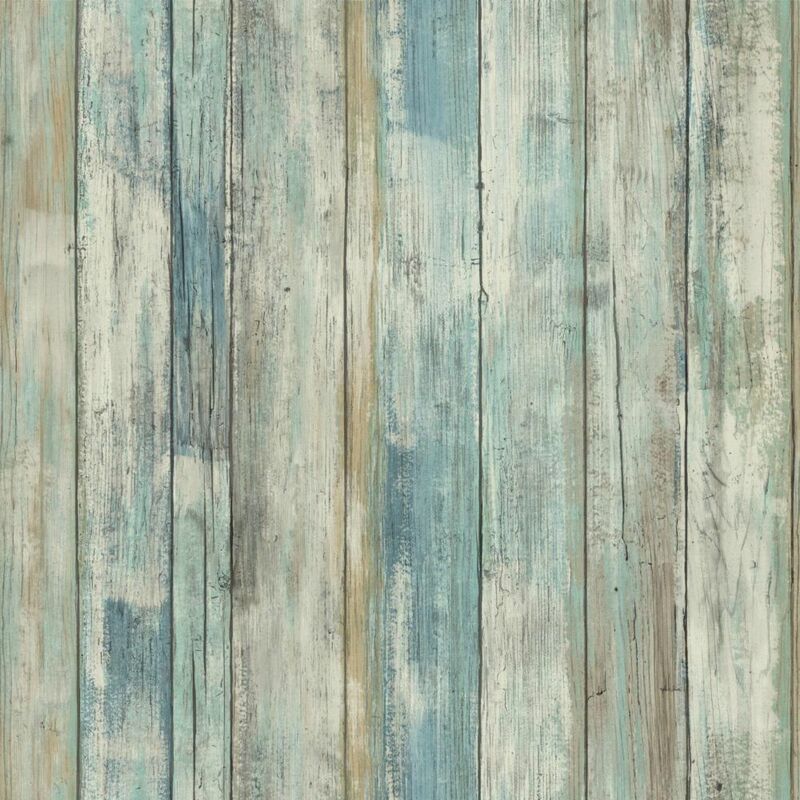 Weathered Planks Peel and Stick Wallpaper Offering a fun and fresh way to decorate, Peel and Stick Wallpaper is printed on high quality vinyl that is repositionable and removable, making it a go-to, budget-friendly choice for both temporary and permanent projects. Perfect for accent walls, furniture, backsplashes, DIY decor, and more, simply peel and stick to install. Completely easy, create endless style-worthy possibilities with RoomMates Peel and Stick Wallpaper. Weathered Planks Peel and Stick Wallpaper is rated 4.5 out of 5 by 50. Rated 5 out of 5 by Langley82 from Great product. Easy to install, looks terrific! So pleased with the result of the wallpaper. All wallpaper should be peel and stick. Looks great ! Rated 3 out of 5 by Lizajene from Beutiful quality paper I bought this for a small project (to contast the back of a bookcase. As with all self adhesive papers it wants to grab and stick before it is aligned. I think I prefer the non self stick papers. Rated 3 out of 5 by NoBueno from I wanted to love this product because when I put it up it looked beautiful but it didn't last a w... I wanted to love this product because when I put it up it looked beautiful but it didn't last a week on my walls. I would only recommend buying this product if you have flat walls with zero texture. All the walls in my house have this groove texture to them and even though the tiny grooves are not that noticeable, they made a huge difference in the use of this product. I used one roll to cover my wall from floor to ceiling and basically only had enough for 2 panels. I was about to buy another roll but decided to wait to see how it held up and I'm glad I did because both panels just slowly started to descend down about 4 days after and I couldn't salvage the paper to use elsewhere, as it just bunched up and got stuck together. Rated 5 out of 5 by be from easy to use, seams invisible, sticking for over 2 months in FL despite humidity. LOVE IT! easy to use, seams invisible, sticking for over 2 months in FL despite humidity. LOVE IT! Rated 5 out of 5 by Christine from LOOKS LIKE REAL WOOD!... LOOKS LIKE REAL WOOD! Rated 1 out of 5 by Dave from The paper kept coming off the wall despite me having... The paper kept coming off the wall despite me having to add spray adhesive. I finally had to trash it all.